If you or someone in your home suffers from any kind of respiratory condition such as asthma, you’re already aware that mold is a health threat. But not everyone realizes that mold results when moisture, instead of being prevented from penetrating the exterior of a building, manages to make its way inside. Moisture is a threat to a building because it causes leaks, structural stress and even building collapse if the moisture advances to that point. Its danger as a health threat can be a silent, invisible menace because the building occupants may not realize immediately that their breathing problems or their allergies are the result of the mold that thrives in a moist environment. How can you protect the people who live or work in your building from the dangers of mold? 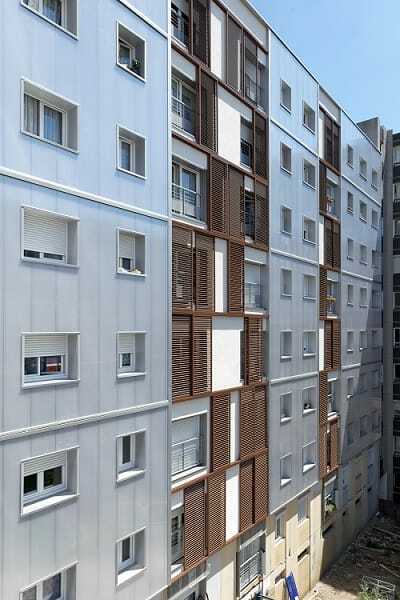 Danpal wall cladding is a solution to the problem of moisture. The simple formula for a healthy building is to keep the insulation dry. As long as the insulation is free from moisture, the building isn’t at risk for the development of mold and the building itself remains in good condition. But insulation, if it’s not protected, is vulnerable. Wall cladding is like a protective sheath that keeps the internal building dry because it protects the insulation. We all know that weather is a potent force in the world of nature. Buildings, in order to withstand the forces of nature, must be equipped with a defense system that can handle pouring rain, wind gusts, heavy snowfall, pounding hail, and intense sunlight. When you give your building the protection of Danpal wall cladding, you’re giving the insulation the defense that it needs in order to remain free of moisture caused by leaks. You’ve heard a lot about Danpal’s microcell technology and you already know that it’s a strong, durable product capable of protecting insulation from moisture. 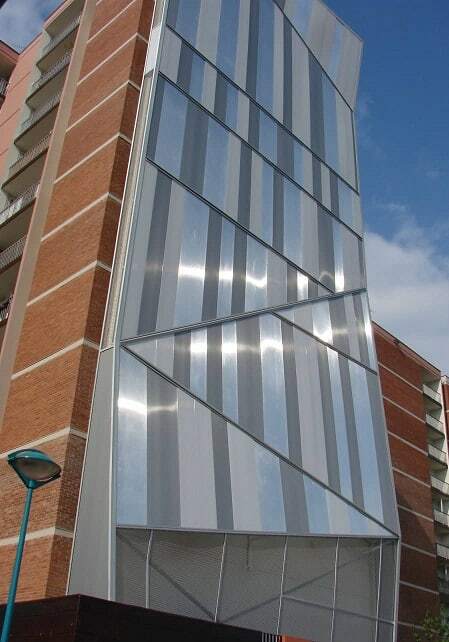 The strength of the wall cladding’s connector-bound polycarbonate sheets creates a strong barrier to penetration by snow and rain. We use double notching so that the wall cladding is watertight and airtight. Our wall cladding is designed with an air gap; the cladding’s convective motion delivers natural ventilation. The end result of this air flow is dry insulation. Our Ventilated Rainscreen System (VRS) is the top-of-the-line wall cladding for the ultimate in insulation protection. No matter how wet, windy and cold it might be outside, you’ll stay dry and warm inside. Danpal’s goal is to develop products that deliver a superior performance, support the environment, and are easy to work with. Our wall cladding meets all these standards. We offer panels that can be customized up to the 12.0m standard length. Architects appreciate the creativity that customization offers; clients welcome the savings that come with our easy-to-install systems that don’t take a lot of time to put into place. 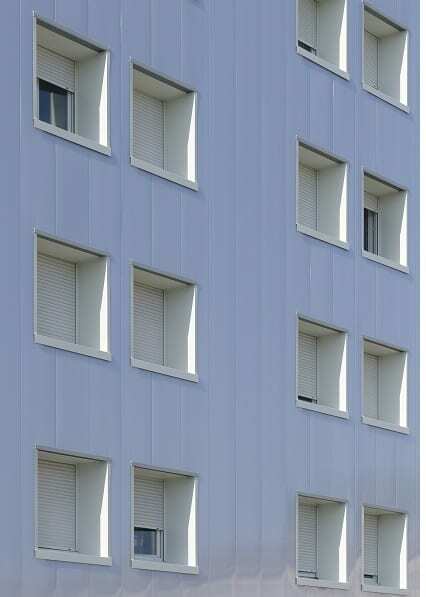 Give your building the protection it needs in order to last by installing wall cladding from Danpal. The next time you’re listening to the weather forecast, you might want to consider the state of your wall cladding. What, you wonder, does the daily weather have to do with wall cladding? Actually, a lot, especially if you don’t have wall cladding by Danpal. That’s because inferior cladding may not be able to provide the level of protection that a building’s insulation must have if it’s going to be able to perform at a satisfactory level. Insulation that’s been compromised is going to cost money over time because energy is escaping, forcing heating and cooling systems to work harder to maintain a consistent temperature. Lost energy is a major factor for environmental concerns. In most of the world’s IEA countries, buildings are blamed for the use of 40% of primary energy consumption. You can imagine what happens to that number if energy is being wasted. But if you have Danpal wall cladding, you’re not worrying about the weather forecast because you know that, if it rains or snows, your insulation is safe and dry. Danpal wall cladding doesn’t let moisture penetrate. Danpal manufactures products that conform to high environmental standards in order to assist energy efficiency. If you have Danpal cladding, you don’t have to worry when you listen to the weather forecast. If it’s going to rain, take an umbrella. If snow is predicted, wear a warm coat. You don’t have to worry because Danpal has already taken care of it. An air gap in Danpal wall cladding makes use of natural ventilation to keep the insulation dry. The convective motion behind the wall also keeps the insulation free from moisture and working efficiently so that moisture doesn’t develop. Water penetrates because of our exclusive double nothing. Connector-bound microcell polycarbonate panels keep your building leak-free and moisture-free. 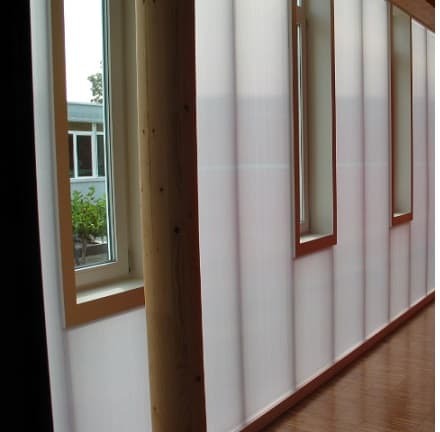 For full insulation protection, consider the merits of the Danpal Ventilated Rainscreen System. Keeping moisture out is so important for the long life of your building because once snow and rain are able to penetrate a building’s defenses and leave moisture behind, leaks will soon follow. Wall cladding is designed to keep out the leaks and the moisture so that problems don’t develop. Danpal wall cladding is so easy to work with that it makes the installation process vastly simpler than it is for other wall cladding of traditional weight. Our panel is lightweight; it’s also customizable, up to 12.0m standard lengths. This feature, along with our great range of designs and colors to choose from, lets customers enjoy a level of personal choice that isn’t often found in the building industry. Danpal wall cladding is designed to do a better job of protecting insulation from weather. It’s energy efficient, saving you money and supporting the health of the planet. It’s customizable so that an architect can be satisfied in knowing that his design reflects his originality and creativity. It’s lightweight, easy to work with, and easy to install. And when you have Danpal wall cladding, you aren’t alarmed by the weather forecast, because you already have all the protection you need for your building’s insulation. Whether you’re building a simple cottage or an architectural masterpiece, the lifespan of your structure is going to depend on how effective it is in preventing weather from invading the interior space. That means that a building’s exterior has to be ready to engage in battle so that it can prevent the harmful effects of snow, rain, wind, hail, and sunlight from penetrating the interior. Wall cladding, which helps to protect your building’s insulation in order to keep moisture from causing damage, is a primary means of preventing insulation from being compromised. That building that, right now, might be just in the design stage, is going to take its place in a physical location. You want that structure to last. So does Danpal, and that’s why we recommend that that you consider our wall cladding for your building. We’ve been leaders in the building industry for 50 years. We operate on five continents and have developed an international reputation that reflects our motto, Global Vision, Local Focus. Your satisfaction and the long life of your building, are our priorities. Human beings need shelter and so buildings are necessary. We work in them, we live in them, we are entertained in them. But buildings, if not properly constructed and maintained, can threaten the wellbeing of the planet. That’s because, in most IEA countries, buildings are responsible for the consumption of 40% of primary energy. How does that work with today’s standards for sustainability? That depends on whether your building is energy efficient. If energy is escaping from the inside of a structure, it’s costing you money. Your insulation is designed to keep your energy inside so that the temperatures that you set for heating and cooling are consistent. But if moisture has reached your insulation, energy efficiency cannot be maintained because your insulation can’t do its job properly. In other words, if you want to make sure that your building remains healthy for a long time, take the steps that are needed to provide your insulation with complete protection. Danpal wall cladding uses a convective motion to keep insulation dry because of the natural ventilation that comes through an air gap. Connector-bound microcell polycarbonate sheets and double-notching are a line of defense to keep out the rain and snow that could allow moisture to seep into your building. If you can keep moisture out—and Danpal wall cladding can—you’re giving your insulation the protection that it needs to maintain your building’s health. Instead of seeing a building design as something that has to follow a rigid pattern, Danpal likes to see originality. Our wall cladding enhances the appearance of a building because we offer such a variety of colors and designs to enable our clients to create a building, not just build it. Once the interior of your building has been designed so that the insulation is protected from harm, feel free to let loose with your creativity. Our panels are customizable up to 12.0m standard length to offer you plenty of personal choice. A building should be able to last. When the architects draw up the plans for the building, it’s their intent for the structure to endure. One of the most important ways to maintain the structural integrity of a building is also one of the simplest: keep the insulation dry. If insulation is protected from leakages, moisture won’t be able to penetrate the interior of a building. Wall cladding’s mission is to do just that—by preventing the external weather from penetrating the interior of a building, wall cladding keeps the insulation dry. If your building had ears, it would listen to the weather forecast each day and shudder in fear. That’s because buildings and weather are natural enemies. You might not have realized how much harm weather can cause. Just think about it. Winter brings with it the fury of a snowstorm, with howling winds and hail. Rain is a year-round threat. Even summer, with its bright warmth, presents a threat because of the powerful rays of the sun that beat down on a building. As you listen to the forecast each day, aren’t you glad that Danpal has created products that help to weather-proof your building’s interior? Wet insulation can’t insulate. That’s the reason why your building’s insulation must be kept free from damaging leaks that permit moisture to invade the interior of the structure. Compromised insulation undermines the energy efficiency of your heating and cooling systems, which in turn cost you money because you’re using more energy than you really need. When that happens, the environment ultimately pays the long-term price as your building begins to take on a monster-sized carbon footprint. How to keep your insulation dry? That’s an easy question to answer. Install Danpal wall cladding, which has an air gap that provides natural ventilation with a convective motion that keeps insulation dry. 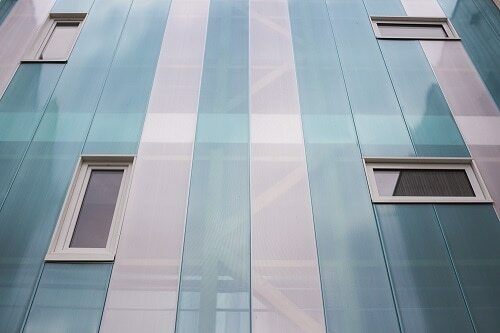 With its double-notching and connector-bound microcell polycarbonate sheets, our wall cladding keeps the moisture out. Insulation remains dry and that reinforces the weather-resistance capabilities of your building. 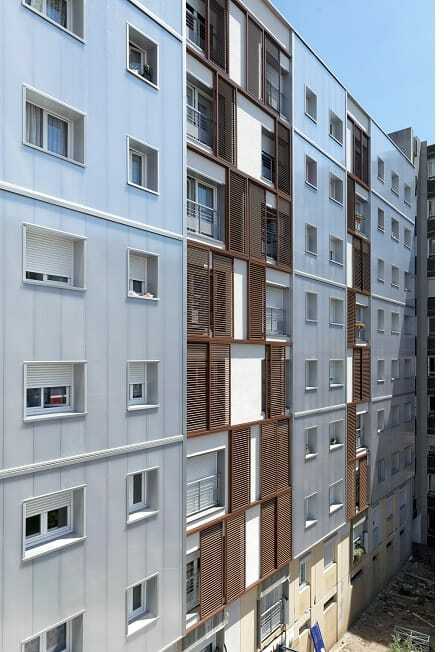 Danpal wall cladding is completely reliable in performing its designated function. But it’s also attractive so that, just as it shields the inside of a building from moisture, it’s enhancing the external view of a building’s appearance. Options are varied; because our wall cladding is customizable up to 12.0m, Danpal can offer many options. Color is one of the most popular options for those who are looking for ways to make their building get noticed. We’re the go-to company when you’re looking for ways to add daylighting to your building’s attributes. Our panels are light in weight, making installation very easy. Wall cladding is one of those wonderful building features that multitasks to keep your structure safe and attractive. It lets daylight in, and keeps weather out. When you think about it, wall cladding is the best of both worlds for your building. The construction of a building is founded upon a simple goal: people inside the building should be comfortable and protected from the elements. Those elements need to be kept outside the building. The building itself must be able to withstand the punishment that nature dishes out but it must be able to do so without fanfare. The occupants within don’t want to worry about whether the rain is causing leakages, or the moisture has penetrated the insulation, or the hail has caused damaged. Danpal understands this philosophy and we support it. That’s why we develop building materials that do their job and do it right. That’s true with Danpal wall cladding, which is designed to make sure that insulation stays dry. Danpal wall cladding is designed with an air gap which provides natural ventilation that uses a convective motion to keep the insulation dry. Because of our double-notching and connector-bound Microcell polycarbonate sheets, which are lighter in weight that traditional rainscreen cladding, create a shield against the external rain so that moisture cannot penetrate. Protecting your insulation is the first step in taking the precautions that are vital for the long life of your building. Today’s concern with energy efficiency reflects a greater awareness of how much the planet depends upon all of us to monitor our energy usage. Because buildings account for 40% of energy consumption, it’s especially important to ensure that the energy is being used as we intend. That means that we need to know that compromised insulation isn’t the culprit in allowing energy to escape from within. If it is, your energy bills are going to reflect that wasted energy. An attractive option for your wall cladding is Danpal’s Ventilated Rainscreen System, which has the Danpalon panel for complete insulation protection. What’s especially unique about wall cladding isn’t just its superior performance in protecting insulation from moisture, although that’s certainly a major consideration. Wall cladding also enhances a building’s appearance. Danpal offers a great variety of colors and designs so that you can choose exactly the look that’s right for your building. Our wall cladding is customizable up to 12.0m, the standard length, to provide you with even more options when making your selection. We also make use of light to provide even more options when defining the look of your building. Because it’s our goal to become the leading manufacturer and distributor of complete light architecture systems, we can show you how to make your building stand out in both performance and appearance. Danpal delivers on its promise to please the customer and protect the planet while providing building materials that offer something more than what you’ll get from other companies. Our daylighting techniques give buildings a touch of nature, thanks to the natural light that we employ. Beauty and performance are an unbeatable combination. like what you get when you use Danpal wall cladding. Wall cladding is the best solution for builders and individuals who want to ensure their property remains in good condition. Many homes and offices are built with cladding these days because it offers countless benefits to the owners. In this article, we will discuss some of the advantages and try to explain the VRS system. We hope this information will encourage more people to try our products this year. At the end of the day, if people plan to build a new construct or replace cladding, they need to choose a premium solution. Adverse weather conditions can damage a property and create the need for expensive repairs. However, our VRS ventilated system can stop that from happening. The cladding sits on the outside of the building and helps to protect the wood or brickwork. It offers ventilation that contributes towards guaranteeing mold doesn’t begin to form. It also provides a barrier between the weather and the house. Our products can withstand the extremes of heat and cold, and they last for many years. Making an investment now could mean property owners and development companies save a fortune in the future. Our wall cladding is lightweight, and its use doesn’t harm the environment. That is a big advantage for people who are concerned about their impact on the planet. Indeed, there is no waste at all, and so cladding is better than alternative solutions. Some people choose to tile in the hope of encouraging the same benefits. However, that is the wrong choice because tiles break and require constant replacements. Their production could also cause environmental issues. So, conscientious property owners will always select our VRS system. 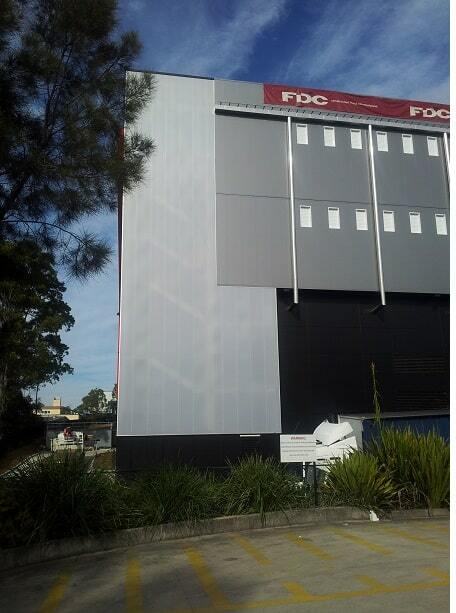 It’s possible to install wall cladding on an entire property in a matter of days. The product can last for many years, and so owners won’t have to repeat the process for a long time. While it’s an easy procedure, people should always employ the assistance of professionals. It’s a cost-effective job that will pay for itself in no time. On top of that, all our panels come with an unparalleled choice of colors and designs. So, there is something for everyone, regardless of their tastes or requirements. Danpal® VRS is made of connector-bound Microcell polycarbonate panels. They are three times lighter than the traditional rainscreen cladding. For more than thirty years, we developed state of the art light and thermal systems for architecture. Our team has a broad range of knowledge and expertise. That is why Danpal® has become market leader in this industry. No job is too big, and no job is too small. Clients just have to get in touch to discuss their requirements. Our specialists will then offer advice and recommendations. We’ll also talk clients through each step of the purchasing and installation process. Our firm operates out of five different continents, and we have great global distribution channels. External Wall Cladding – What’s important to consider before making any choices? When you are looking for external wall cladding systems, it is important that your choice complies with all of the relevant building regulations and that it ensures the maintenance of an efficient level of insulation in a building. In the past, wall cladding often did not really have to consider the insulation effects that were seen due to loose regulations, but in recent times this has become a massive issue as people are conferenced about having structures that are energy efficient. If a building is energy efficient, heat can be maximised while energy costs minimised. It’s a win-win situation. You may want to simply refurbish an existing structure or starting from scratch with the external wall cladding. Whatever the case may be, our ventilated rainscreen system of wall cladding at Danpal can help you achieve all of these goals and then more. It has been shown that about 40% of energy consumption in most developed countries comes from buildings. This highlights the large scope for savings when it come sot energy costs. Our ventilated rainscreen system at Danpal has been designed specifically with this statistic key in the front of the minds of our designers and engineers. Our system involves the well-respected Danpalon panel that helps to insure that the insulation is protected at all times no matter the weather or extent of impact. One of the keys to having effective external wall cladding is having an optimal level of natural ventilation. Thanks to the convective motion seen behind our panels, the insulation will be kept dry and will not lose any of its performance benefits over time. This replaces the costs of having to replace damaged or suboptimal panels in the long run. The system is light and solid at the same time. 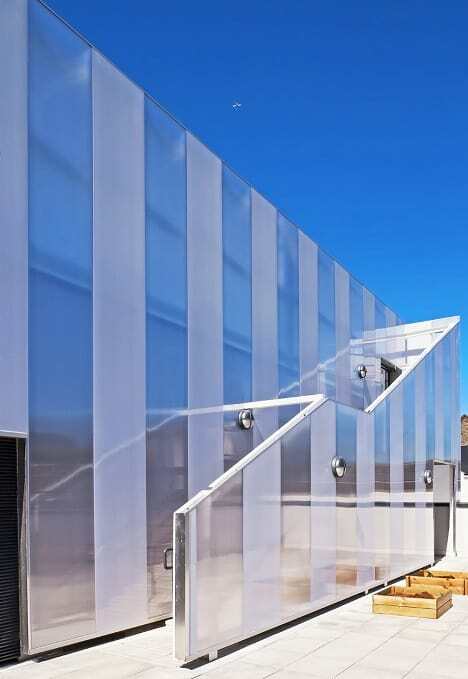 It is made up of connector bound microcell polycarbonate panels which are 3 times more lightweight than the usual rain screen cladding that is found on the market. As it is so easy to install, you will be able to meet your project deadlines and even come in before deadlines as a result than if you were using more traditional options. If you are building in an environment that receives a lot of rainfall and strong winds during the year, water tightness going to be something you are very concerned with when making your selection. Our system has perfect water tightness so this is not an issue you will have to worry about again. At Danpal, we are focused on providing products that meet all of the building regulations that you may be faced with, giving you products that perform higher than industry standards and are also visually appealing. While this may seem like a lofty goal, our track record speaks for itself. 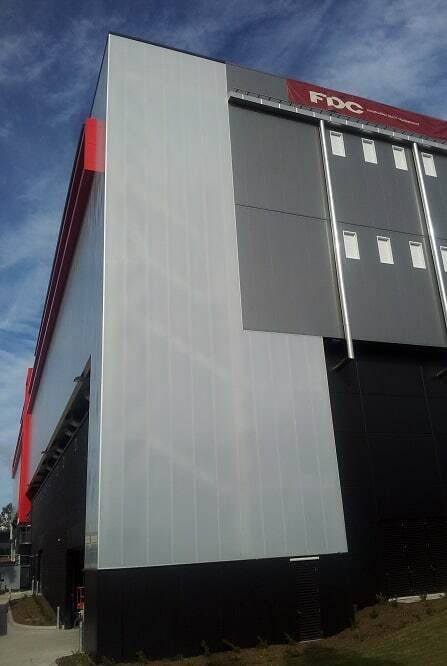 One of the most popular products we have in our range is the ventilated rain screen system of wall cladding. This meets all of the necessary regulations you need to meet when ensuring that the insulation levels are in line with standards and other regulations. Our light but solid wall cladding is achieved thanks to it being connector bound and being made up of the best in microcell polycarbonate panels. It has been shown that this configuration is three times lighter than those other options on the market today. As these connections are made while having the system on the support, they are very easy and quick to install. There does not need to be any additional framed structures needed when installing them. This saves time, energy and money. What architect doesn’t like hearing that phrase? Our perfect level of water tightness has been achieved thanks to the double notching of our Cladding panels. This means that even in the worst conditions the permeability of the panels will not be compromised. One of the main draws to this product is that the system is universal, no matter what sort of structure is in question. We have seen this system used on all types of buildings across the world, from skyscrapers, stadium, centres of excellence, galleries, and so on. This is thanks to the way the system easily connects with the structure. Another great aspect of the VRS system is the availability of a wide variety of hues and options that make the design options endless. As an architect, you will be in love with the many tweaks or changes you can make with your wall cladding thanks to these options. There are many different shades to choose from. If you want a sparkling effect, opaque, bright, Bicolour, matt or shiny, the options are many. Your building can be enveloped in the type of light and reflections that you have laid out in your mind’s eye and the plans in front of you with little to no heartache. 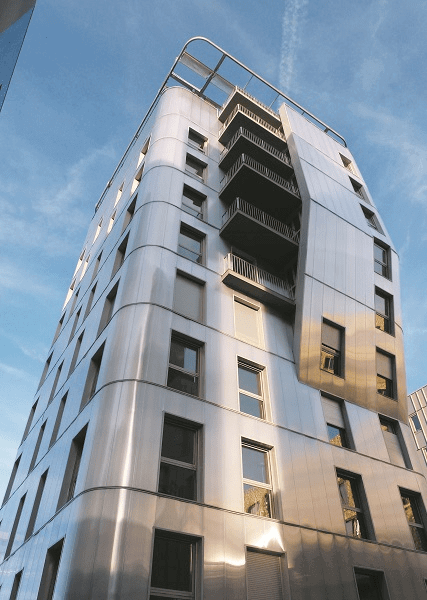 Rainscreen cladding – Why more and more people turning to specific? While it is obvious judging from the name that rainscreen cladding’s main use is to protect the exterior of a structure from damaging weather and to allow for a well-designed path of clearance for any rain water, there are some reasons why you should trump for it over other alternatives. 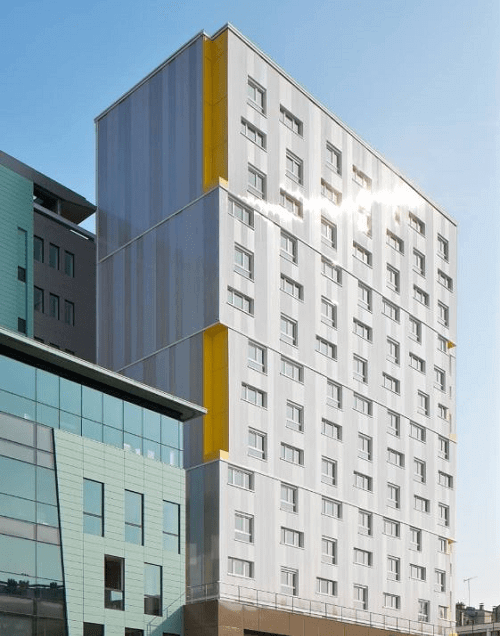 Rainscreen cladding from market leaders like our team at Danpal have more advanced functions integrated into the design which adds another layer of benefits for the end user. If you did not use rainscreen cladding on the exterior of a building, those materials that are porous and have been used in the construction process will be exposed to the negative weather conditions which will greatly accelerate the deterioration process of the structure. At Danpal, our system also allow for the easy removal of one or more sheets so they can be replaced if any issue occurs, rather than having to strip the entire structure as you may have to do with other materials. 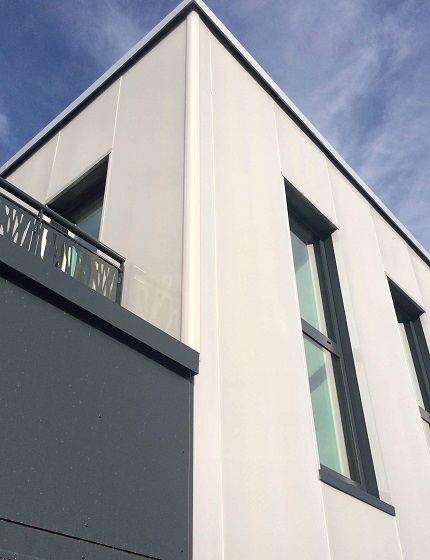 Rainscreen cladding also is very effective at providing strong levels of thermal insulation for the structure while still being cost efficient. You also do not have to sacrifice a lot of valuable floor space in order to have this form of insulation, which is a major negative when you look at alternative options. These cladding systems are very appealing visually and they give the architect a huge scope for innovation and creativity, as you can be very flexible in the approach taken. The finishes used can be changed and the shapes of the panelling twisted and altered to fit the vision of the chief designer. With environmental conditions becoming more and more extreme, they have been a large area of focus when it comes to the construction industry. This is why sustainability of wall cladding is vital. While rainscreen cladding helps improve the thermal insulation ad decrease energy costs as a result, rainscreen cladding can also help the sustainability of a structure as it reduces materials wasted and used. 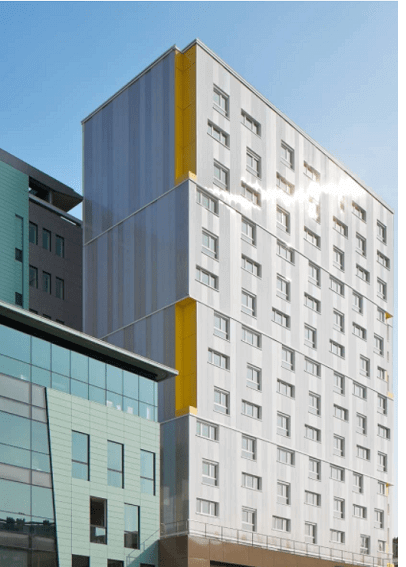 No matter what your budget constraints may be or challenges that you may face with your project, with the flexibility of our rainscreen cladding system at Danpal, no obstacle is too large to overcome. Our team can work closely with you to make your vision to come into reality by providing you with a world class service and top quality products that have been tried and tested on the biggest of stages. It is vital that you select a wall cladding that has sufficient levels of water tightness. While our wall cladding product range at Danpal is one of the market leaders for air and water tightness, a lot of other versions from different companies can be compromised and lack sufficient levels of protection from water infiltration. Water tightness is the instance of attempting to prevent water or other fluids from getting from one side of the wall through to the other. The main areas of concern when it comes to construction and water tightness is the penetrations and joints, as well as the material itself used for the wall cladding. Porosity is the ratio for the volume of the voids (openings) with the total volume of the material. Basically what this ratio represents is the storage capacity that the material has. The other key measurement associated with water tightness is permeability. This measure show easy it is for fluids to flow through the porous material. This is why it is so important during the manufacturing process of wall cladding that it meets the necessary targets to ensure that water tightness is not going to be a concern. Quality manufacturing processes are vital to producing durable and watertight wall cladding. There should also be special attention applies to the joints and other penetrations, as these are often the weak chink in the armour that can become exposed and cause structural damage from this point. This is why you should also compare the testing of different wall cladding systems by an independent authority. Whether it is in the lab or on a large mock-up, these tests will be able to assess the general strength of the air tightness but it does disregard one key factor which is the impact of site workmanship. There are going to be different skill levels and workmanship applied depending on the experience of the team putting the wall cladding in place or the budget of the project etc. They have such an important role in the water tightness, because if the components have not been cut straight, the sealants are improperly installed or the gaskets are not properly fitted, this will lead to a lot of issues. This is why it is always a good idea to have a small test sample of the wall cladding system in an area of the structure to ensure that the proper quality is being developed. This is better than realizing when the entire structure has been cladded that it has been done so incorrectly. The decision on what type of wall cladding you are going to use will make or break the final look of the structure you are working on, as well as the functionality of the structure. With rapidly developing technology, materials are changing at a fast pace and new possibilities are being opened up to architects when it comes to the decision of what type of wall cladding to use. Durability and longevity are important factors to consider when choosing the right materials for wall cladding, as no matter how beautiful the structure may look, if it is not strong and long lasting, you will need to repair it or replace it, which will be very costly. This is especially true if you are building in an area, which exposed to severe weather conditions. High winds, rain and snow will give your wall cladding a difficult challenge to deal with. You need to pay heed to the structural integrity of the wall cladding and make sure that the bracing values are well suitable to the site. When the concrete has been cured, you should always test the strength of it. You also need to figure out an approximation as to how fast the cladding may deteriorate, then you need to consider cost and figure out what you can fit into your budget. Thankfully Danpal provides the highest quality of wall cladding applications. All materials go through detailed quality assurance tests, holding ISO 9001 certificates and have top quality R-value, which will reduce your energy costs. For example, look at the Agricultural School in France or the Isaac Newton Academy in the United Kingdom.